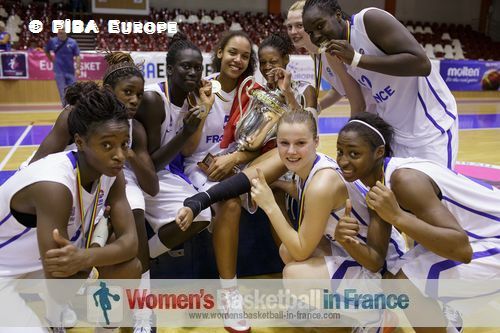 As the 2012 FIBA Europe European Champions for Women Division A, France have qualified for their third consecutive 2013 U19 World Championship for Women. The top five nations from Europe and the hosts Lithuania are joined by 10 other nations from the world for the youth international basketball festival in the cities of Panevezy and Klaipeda from 18 July until 28 July 2013. The men's tournament which is held three weeks earlier is hosted by the Czech Republic. This U19 World tournament is open to all players born on or after 1st January 1994. The USA have won the last four world championships at this age group and will be favourites to retain the trophy they defended by beating Spain in the 2011 final. The French women national teams have picked up medals in all official competitions except in the U19 World Championships. 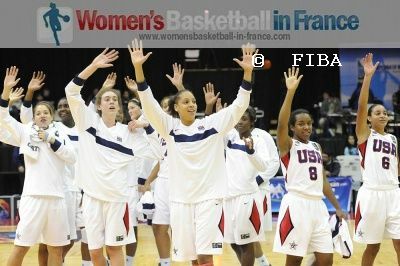 France will be looking to change that during their fifth participation at the FIBA U19 World Championship for Women. There are four groups in total and the top three teams of each group qualify for the second round. On the other hand the bottom teams play in the 13th to 16th place classification round. The other 12 remaining teams are then to be split into two groups, E and F, with the top four teams of each group qualifying for the quarter-finals. The four teams that fail to qualify for the quarter-finals then play in the 9th - 12th place classification. Afterwards it is a knock-out competition with the finals taking place on 28 July 2013. The preliminary and eighth-final round (Qualification Round) matches are played in two venues in Lithuania: Cido Arena (Panevezys) and Svyturio Arena (Klaipeda). The final games are held at the Svyturio Arena.